Welcome to the Princeton QSN Chapter page! We, the members of the QuestBridge Scholars Network, are driven to form a close-knit society of Scholars here on Princeton’s campus, and in an effort to meet that goal, we get together often to plan events for our community— both on and off campus— and to support one another in all endeavors, whether they be professional, academic, or personal. We are one of Princeton’s many official organizations, and as a recognized group, we have striven to connect with high schools across New Jersey in an effort to help students become aware of the amazing opportunities offered by QuestBridge. Princeton is a different world for a lot of us: the campus is fairly small and incredibly gorgeous, the classes are challenging and just as rewarding, and students and professors alike are diverse, intelligent, and inspiring. Though the socioeconomic backgrounds of our student body can be starkly diverse, we strive to ensure that our Scholars feel that this campus is a home to them, as it is to everyone on campus. We—in tandem with the Princeton Hidden Minority Council, a young organization that welcomes perspectives from all first-generation students as well as those of low-socioeconomic backgrounds—have made great strides toward seeing the realization of this objective. Princeton has definitely become a place of intermingling between students of vastly different circumstances, and it is wonderful in part exactly because of this healthy and welcome mixing of cultures. 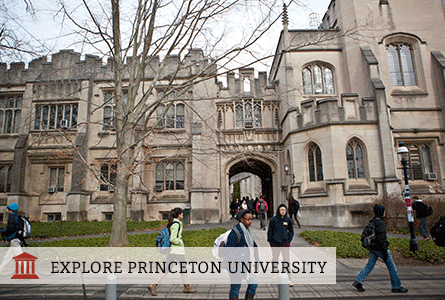 Princeton has something for everyone: organizations for any interest, majors and courses of study for any choice of concentration, and perks— constant study breaks, support from fellow students and student organizations, and regular social events— that are genuinely remarkable. Maybe most importantly, this university provides a level of administrative and financial backing that cannot be beaten: whether it be a social issue, an academic problem, a mental health question, or a scholarship concern, this university continues to show every one of its students constant and considerate support. This is why we have fallen in love with this school, and why we are more than happy to welcome you, as a new QuestBridge Scholar and Princeton student, to our campus. We know you’re going to love it.